I remember when my brother was a little boy; we’d enroll him in different summer classes. It is fun watching kids learn things aside from the academics. Sports, music, and the arts help not only develop kids' creativity and skills but also give them valuable lessons like discipline and determination. Speaking of music, isn’t the ukulele such a classic? It’s soothing to listen to its sound. Do you or your kids know how to play it? What is the best ukulele for kids? I always say it here on my blog: lucky are we in the era of the internet because everything we need seem to come easy. Shopping, ordering food, finding answers, even keeping in touch with friends or doing business can now be done online. So whenever I encounter something and I want to know the answer, Google is my best friend. Before you enroll in a class, purchase a product or avail a service, you do your research first. What company offers what you need? What do the previous customers think? Among the many competitors, which one is the best? If you buy something for your kids, you do the same or even double your effort. 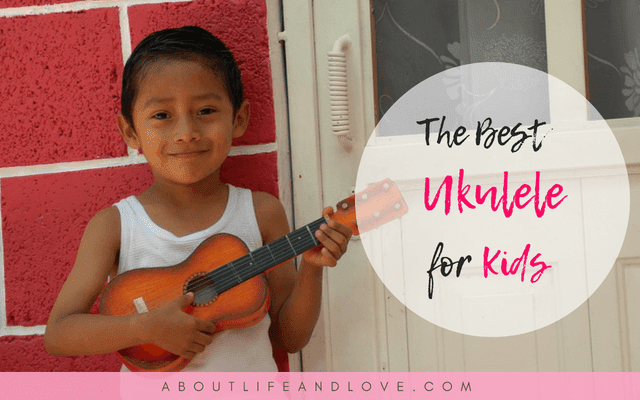 Back to the question: what is the best ukulele for kids? I’ve found out that there is more to consider than just walking into a store or purchasing the first one you see online. 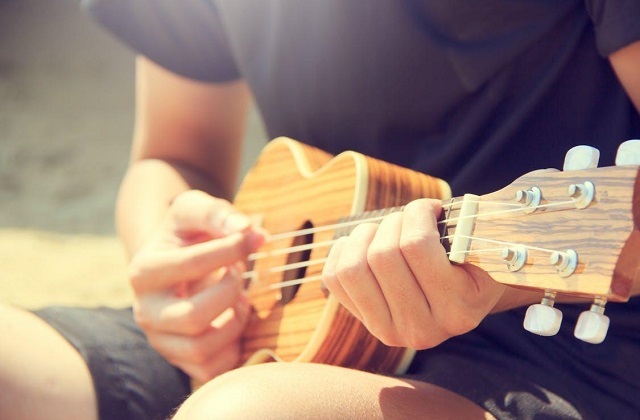 According to Wikipedia, a ukulele is a small guitar-like instrument that generally employs four nylon or gut strings or four courses of strings. Ukuleles are generally made of wood though there are some that is made of plastic or other materials. The cheaper kinds are usually made from plywood or laminate woods while expensive ones are made of solid hardwoods like mahogany. That being said, solid hardwoods ukulele produces a better quality sound. The three main kinds of ukulele strings are nylgut, titanium, and nylon. Which one is better depends on your preference. Nylgut produces warm and mellow tone, traditional nylon gives warm tone and titanium brings bright and strong tone. There are a lot of good brands in the market. Again, Google is your friend. Try to find on social media groups what the pros prefer, check the reviews of the brands, and find the time to visit stores and give it a test. Kala, Luna, Cordoba, Oscar Schmidt, Lanikai are some of the trusted brands out there. From my research, I’ve found that soprano ukulele is best for kids compared to Concert, Tenor and Baritone. This is because of its small neck and frets. This means it’s easy for kids to play it considering the size. Whether you’re getting the acoustic or acoustic-electric ukulele is up to you. It really depends on your preference as either works just fine. If you want a ukulele that plays quality kind of music, invest on a good brand. You can’t be buying cheap to save money and expect an excellent sound or a long term use from it. You get what you pay for. I am a frugal person, but I know that quality comes with a price. You actually end up spending more when you buy cheap musical instruments because you have to change some things to fix it, or it will break easy so you'll have to buy another one. Save yourself the hassle and frustration…and money by choosing a good ukulele. How much are the good ones? The prices range from $50 to $100. Good investment goes a long way. You’re paying for good music and peace of mind. As I’ve mentioned, lucky are we to have internet on our side. You can search for and compare ukuleles online. No need to go visit stores to find the best ukulele for you. Find reviews from users. Join forums. Read articles that are informative and insightful. Even when you decide to purchase it in a physical music store, at least you know what kind or brand you need to have. Education is everything. Confession: I am a frustrated musician. When I was a kid, I wish my parents enrolled me in voice lessons, piano lessons, guitar lessons, violin and---you guessed it, ukulele. As an adult, all I can do is appreciate musical plays and movies, listen to music, and admire talented musicians. Music is a gift to mankind. What we can’t speak of or express verbally, we can do so in music. It is universal. It is an art that can unite the world; it can make everyone dance, sing, and feel. Music conveys emotions. It can shift a mood, encourage, inspire or do the opposite. Ukulele is so underrated. We always see musicians carrying their guitars or playing on their pianos or drums when doing shows or concerts. But how often do we see one with a ukulele? Personally, I can count them on my fingers. If you search on YouTube, music videos featuring ukuleles are entertaining to watch. Maybe I’m biased but it sounds calming for me. Hope you find the best ukulele for your kids---or yourself. The next time you go jamming with your friends, it will surely be more awesome with a ukulele.